[By Nick, New for Summer 2016] Oh Blue Bunny, I haven't been able to sing praise of your most recent packaging redesign. Clear containers have been relegated to the pint world for far too long. I've been waiting for a brand like yours to finally jump on the bandwagon. I mean just look at this packaging. It's easily an eye catcher when you're in the sea of the ice cream isle. It's so clean and ahhh, I love it. Yes, I'm a marketing geek but you have to admit this was a smart move by Blue Bunny. Oh wait, you're here to read about the actual ice cream, aren't you? Fine, you win. Even if they didn't have their new fancy packaging, this flavor would've caught my eye from a mile away. I love s'mores, Dubba loves s'mores and you probably love s'mores. Heck, to this day Gelato Fiasco's version is one of my favorite frozen desserts. Do I think this will dethrone it? Nope, but I do believe in Blue Bunny to make a respectable product. Okay, this flavor looks cool. 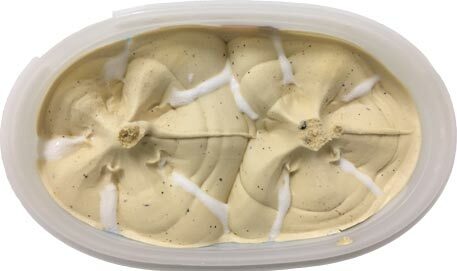 I mean, even the top of the ice cream is fancy looking. Blue Bunny, you're really winning me in the appearance category with this one. That win continues into the flavor. The graham ice cream is spot on. It's as if I'm eating a graham cracker with a glass of milk. Sure, that gritty texture you associate with graham crackers isn't there which is a shame since other brands can do it. However, the flavor is so spot on that I can overlook that detail. The chocolate chunks are alright, nothing special about them. There's a lot of them in this which could be a blessing or a curse depending on who you are. I found them to be a bit annoying, though I do think the chocolate is the least important part of a S'more. The flavor just overpowers things when you get too many in a spoonful and I'd much rather the ice cream shine a bit more. The marshmallow swirl is sweet, sticky and delicious. I wish they had opted for a thicker swirl since it does get lost a bit here and there. It would've helped for the impact in flavor and texture. The graham swirl was a bit disappointing for me. There's just not a lot of it. 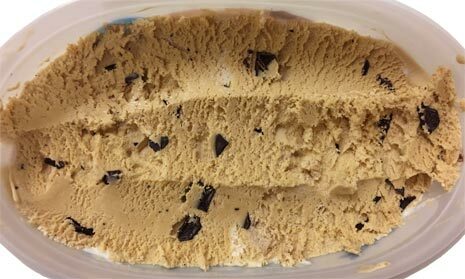 It's more of chunks sporadically placed than a swirl. The chunks have a nice crunch to them which is very much appreciated. If they were soggy, it wouldn't have worked that well to replicate the name sake. I feel like if they would've switched the amount of chocolate chunks with the graham crackers, Blue Bunny would've knocked this one out of the park. 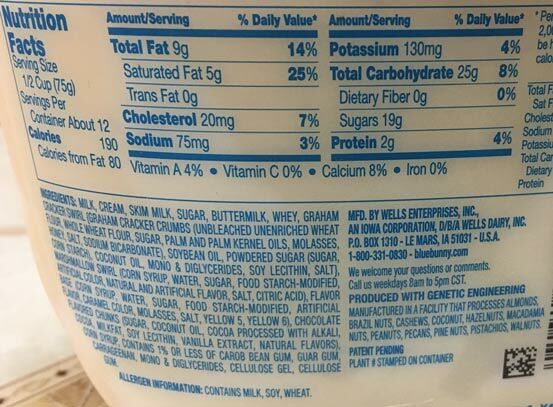 The graham crackers bring the base to a new level and it's a shame you don't get to experience it all that much. This is definitely a nice new seasonal offering from Blue Bunny. With a few minor tweaks, this could be the best s'mores ice cream in the ice cream aisle. As is, it's still very worthy of a pick up before it's limited run is over. This was pretty good. 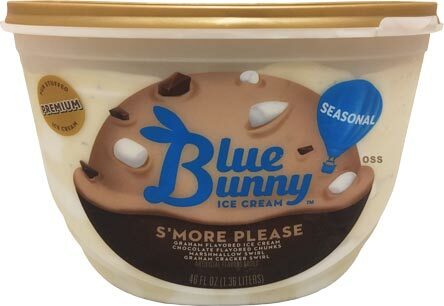 Blue Bunny has to be in the lead for most improved brand of the year. @Latchkey: loaded question that I must ask, what was so wrong with them before? I honestly think they are still pretty bad. Both my wife and I will eat it from time to time but neither of us think it tastes like ice cream. Its like frozen cool whip or something. Its just an odd consistency to us. @TheIcon: I can see people having issues with the texture. I might actually post about it soon because I dont think of any the mainstream companies really offer true ice cream anymore in their regular lineups. Which brand do you usually prefer then? Wait, this was from the summer? Yup! People were trying it back in June! So as I'm eating this I'm thinking " Wow, this really tastes like a graham cracker" finally! Then I thought about you. I wonder if he's had this flavor....I did not remember a review. Went back and alas, found it. I could not agree with you more on this being a graham swirl and a few chunks away from a perfectly balanced Ice Cream flavor NAILING SMORES!! Man, what a damn shame. A poster mentioned texture of blue bunny. It's texture seem to vary from flavor to flavor. They were on sale in Scottsdale for 1.50ea. I bought 4. Each container had a different texture. The Smores was "gummy" and thicker, the homemade vanilla was actually very good, cold creamy and melted nicely. The Cookie Dough was a bit airy and the coffee was gummy. I understand exactly what your talking about. Im an ice cream snob. Did you ever have Cold Stone? They have the gummiest, WARMEST Ice cream ever. I can't eat their stuff.